Carl Icahn says it's "absurd" that Elizabeth Warren and other Democrats are claiming his new role as President Trump's regulation-buster creates a serious conflict of interest risk. "I think that's completely ridiculous. I don't talk to Donald that often," Icahn told CNNMoney in a phone interview on Tuesday. The billionaire investor said his financial interests -- such as a major stake in an oil refiner subject to EPA regulation -- shouldn't prevent him from advising Trump. "Would you say that Jamie Dimon, who knows banking, shouldn't talk to him because he also owns bank stocks? It's absurd to say that," Icahn said, referring to the JPMorgan Chase (JPM) CEO. Others don't agree. A watchdog group filed a complaint on Wednesday alleging that Icahn broke lobbying rules by using his new role to push the White House to change the EPA regulations that are hurting oil refiner CVR Energy. Icahn was one of Trump's earliest supporters on Wall Street and after the election the new president tapped him to help get rid of "strangling regulations" that are hurting the American economy. But Warren and six other Senate Democrats wrote a letter last month to the White House raising concern over Icahn's role as a special adviser on regulatory reform. The letter argued Icahn's "sprawling business empire and potentially unlimited portfolio in the administration" pose an "unacceptable risk" of real or potential conflicts of interest. Critics hold up CVR Energy, (CVI) which Icahn owns 82% of, as the best example of this conflict of interest problem. For instance, CVR's shares soared 6% over two days last week after Bloomberg News reported that Icahn and a trade group presented the White House with a deal to revamp an important EPA rule. Known as the renewable fuel standard rule, the EPA regulation requires CVR and other oil refiners to either blend their oil with renewable fuels or buy credits. Icahn told CNN's Poppy Harlow the rule is "natural stupidity" and he's said the regulation could cost CVR $200 million this year. News of the Icahn-brokered deal on the EPA rule increased the value of Icahn's stake by $101 million over just two days, though the stock has since retreated. Public Citizen, a watchdog group, wrote a letter to Congressional officials calling for an investigation into Icahn. The complaint alleges Icahn violated lobbying rules by failing to register as a lobbyist despite proposing this change to EPA rules that would help a company he controls. Icahn didn't respond to a request for comment about this new complaint. The CVR situation explains why Senate Democrats asked the White House if Icahn has been barred from providing advice on any specific regulations that affect his investments, or if he's recused himself from any matters. Democrats also noted that Icahn Enterprises (IEP), the firm Icahn chairs and controls, invests in a broad range of other industries regulated by the federal government, including mining and auto manufacturing. But Icahn dismissed the conflict-of-interest fuss. "We vetted this with the lawyers a number of times. I think the criticism is nonsense," Icahn told CNNMoney. 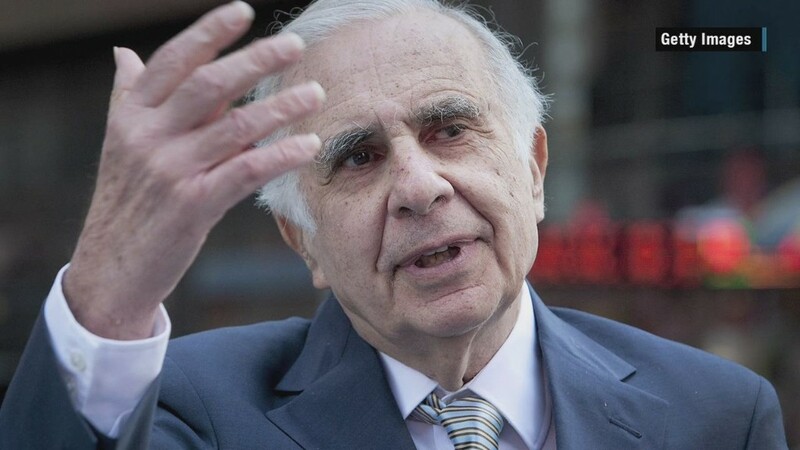 White House spokesperson Kelly Love said in a statement that Icahn is "simply a private citizen whose opinion the President respects and whom the President speaks with from time to time." Love noted that Icahn will not be serving as a federal employee nor a special government employee and won't have specific duties.